In 1941, brilliant Cambridge mathematician Alan Turing was hired by the British military to break an infamous and seemingly indecipherable Nazi code called Enigma. Leading a group of misfit cryptanalysts, logicians and assorted wunderkinds, Turing directed the operation of code breakers to crack Enigma and win the war. But for Turing, this victory came at a terrible expense. Set in two periods —1951, after Enigma has long been broken, and 1941, as the irascible and arrogant Turing has applied for the code-breaking job (his unsocialzed Asperger’s-like personality almost getting him bounced out of the interview)— Graham Moore’s adept screenplay deftly navigates between both settings and even gives the latter period a touch of mystery, sending the suspenseful drama, taking place in the throes of WWII, off to the races. After a bumpy opening of unnecessary voice-over and on-the-nose dialogue, “The Imitation Game” takes off with a skillful trajectory. The thriller wastes no time explaining its stakes and then raising them concurrently, creating the interpersonal conflicts of the difficult and singular-minded Turing and his better socialized colleagues. Directed with with clerical efficiency by Norwegian filmmaker Morten Tyldum (“Headhunters“) it comes as no surprise that the helmer cut his teeth on years of Scandinavian TV. It makes for a picture that’s classically proficient, but also anonymous, even homogenous. That said, Cumberbatch makes the movie easy to watch with his harsh, inhuman personality that surely must have veered somewhere near the autism spectrum. Knightley, also a member of the team, is quite good with what she’s given, but is somewhat subsidiary to the narrative as many female roles unfortunately are these days. And while certainly conservative, it’s not as sanitized and bland as it could have been and Turing’s homosexuality, for which he is persecuted after the war —at first appearing as if it would only be addressed in subtextually— becomes a central element of the plot deeper into the movie. 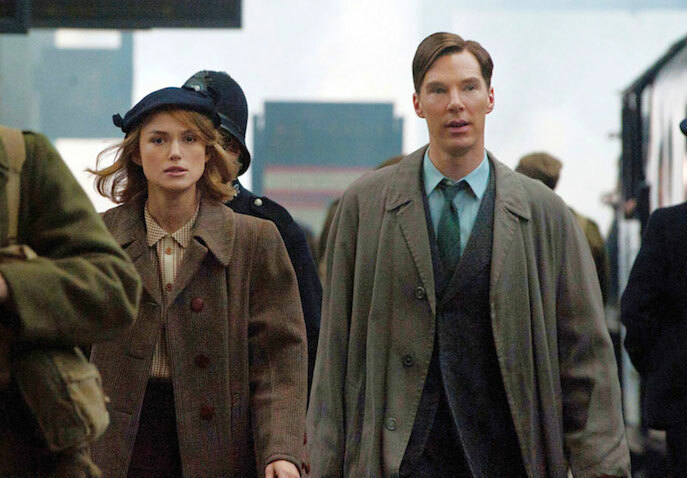 In fact, for two acts, “The Imitation Game” feels competent, but never quite deeply connects beyond the race-against-time that is the narrative thrust of the movie – the longer the code breakers cannot solve Enigma, the more lives of allies and loved ones are lost. But once the Enigma puzzle has been cracked, the movie comes to life and becomes much more rich and ethically engaging. The moral implications of hiding their victory —Germany can never know the code has been broken— is chilling. Turing’s team and M16 cannot reveal the breakthrough to the military as they’ll just abuse it, Germany will change their cipher, and all will be lost once more. The monumentally difficult decision must be made to pick and choose which lives can be saved and which cannot, lest the British reveal their hand. These clandestine secrets and lies add a morally darkening cloud to the picture and no character goes unscathed. As Turing explains, their game is a “blood-soaked calculus.” The insidious and underhanded nature of counter-intelligence doesn’t get a pass either, and there’s a queasy distress every character must bear, living with the knowledge and expenditure their innovation has wrought. 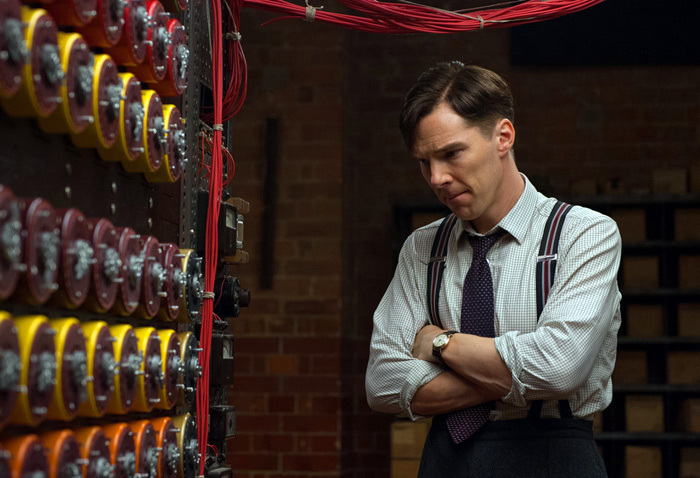 Furthermore, in the aftermath of the Enigma advancement, “The Imitation Game” finally has time to fully put its focus on Turing, his painful secret, his past and his story. 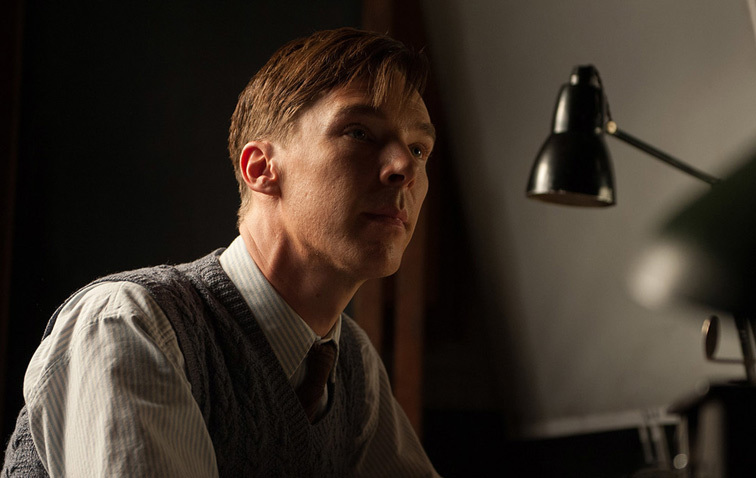 Yet the handling of Turing’s closeted sexuality, his torment as a child and the repressed emotional toll it takes is touched upon cautiously, and like much of the movie, the filmmakers are careful not to disrupt the the very English atmosphere. “The Imitation Game” is eventually a stirring and bittersweet story of the brave men and women instrumental in winning WWII with their revolutionary device, one that would make Turing a sort of godfather in the inception of artificial intelligence and theoretical computer science. And the film never forgets the cost of Turing’s sacrifice and the tragedy of a national war hero being subjected to bigotry. 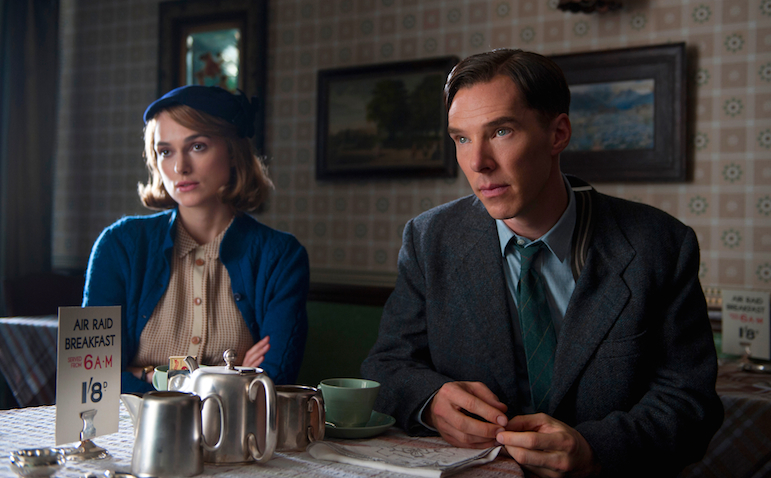 “The Imitation Game” is thus a well-crafted suspense drama and uplifting tale of perseverance, but it does hit many familiar notes along the way.